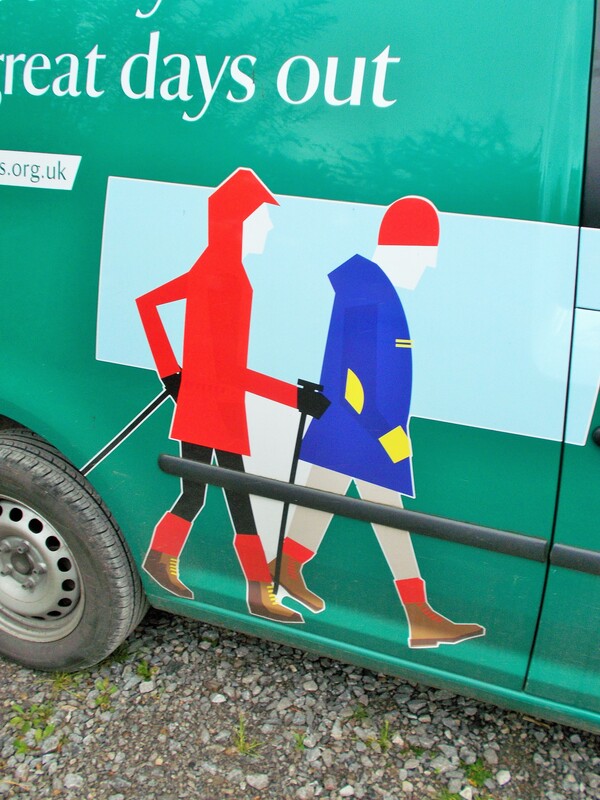 Walkers, National Trust Camp Site, Wasdale, Lake District, Cumbria, 20/09/15. Posted by Mr. B Flaneur | Filed under Out and About. Mind Blowing Food, College Green, Bristol, 27/04/15. 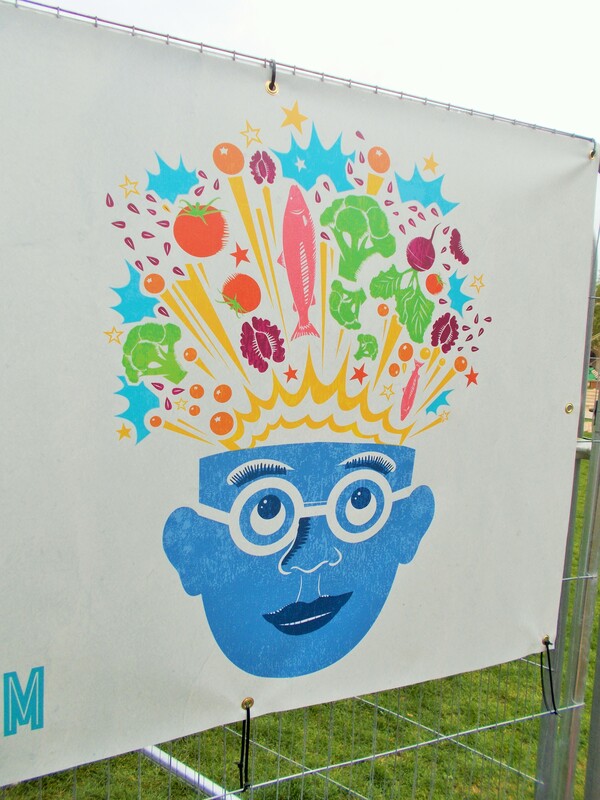 Featured on a banner publicising the Bristol Food Connections food festival, which starts today! Owl, Leeds City Museum, Leeds, 03/01/15. 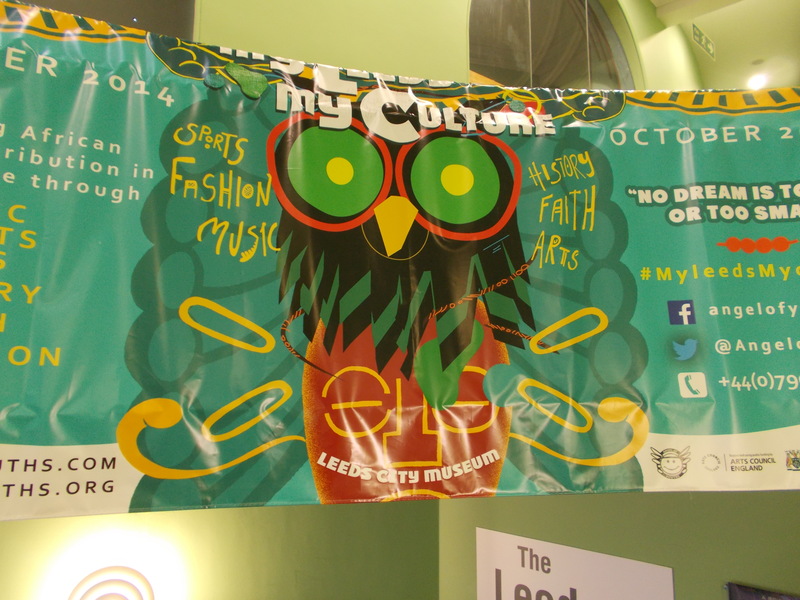 “Curated by a local community group ‘Angel of Youths’, the ‘My Leeds My Culture’ display at Leeds City Museum, will launch on 18 October 2014 and run until October 2015 as part of Black History Month celebrations. The display highlights the African Diaspora contribution to Leeds culture through; music, sport, arts, history, faith and fashion“. Why not pop in and have a look. Photo Archive: Mr. 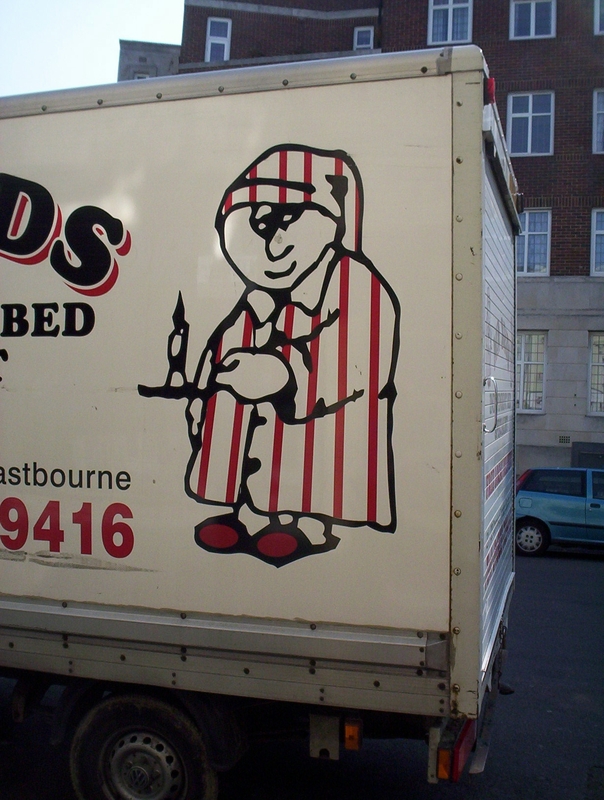 Beds, Mr Beds of Sussex, Eastbourne, c.2005. It’s funny what you remember about family holidays. This delivery van made such regular appearances during my stay in Eastbourne that Mr. Beds (and his rather Victorian attitudes towards dressing for bed) became part of my family’s collective memory of the place. I’m glad to say that, according to the internet, Mr. Beds is still in business and is still operating out of 21 Cornfield Terrace! I took photograph on Cornfield Terrace when we were on our way to the Museum of Shops or “How We Lived Then” which is at 20 Cornfield Terrace, but that’s another story.